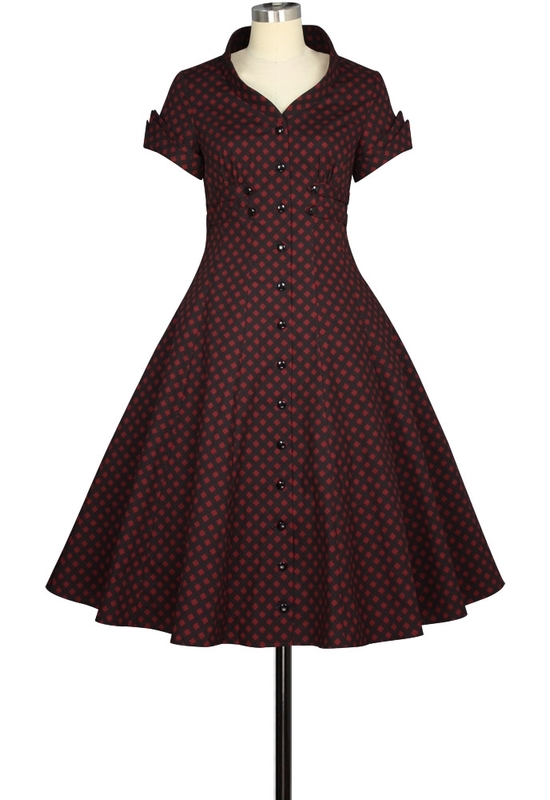 It's a retro dress with standard collar and double sleeve cuffs. Buckles in waist and front buttons closure. The petticoat is not included.